Claire has worked for Ainscough Training Services (ATSL) since 2006 and in April 2018 Claire took on the role of Centre Manager. Our all-encompassing service involves a detailed amount of communication and follow up. Claire leads & develops the team that strives to deliver a first class customer service that exceeds the industry standard. Strong leadership. effective communication skills and impeccable planning are are essential to this job. Claire's pivotal role links the various disciplines within ATSL to ensure we all focus on the company vision of being the No.1 choice for Training & NVQs for safer lifting operations. Previous to this, Claire gained valuable management and leadership experience as the NVQ Supervisor. This role focused mainly in the NVQ side of the business working closely with Assessors, supporting their role to ensure they can provide a first class NVQ service to our candidates. It is Claire's responsibility to ensure compliance with the awarding body Cskills, & CPCS by maintaining effective systems, controls & procedures that meet their strict criteria. Customer Service is integral to Claire's role; Claire develops her team in advising customers and learners from a variety of industry sectors on the correct qualifications to suit their needs. Claire is continually developing and implementing administrative systems to ensure the whole Training & NVQ process as straightforward as possible, ensuring we always meets our customers expectations. What I enjoy most about my job? 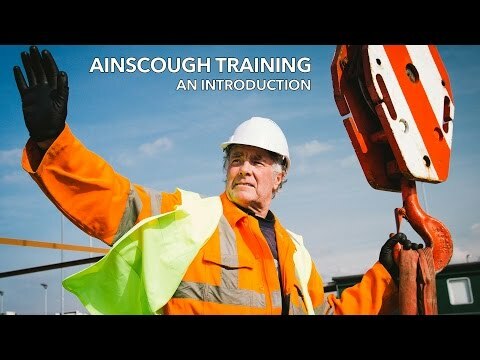 I really enjoy working for Ainscough Training Services, I feel like I am part of a successful and supportive team and I enjoy the variety of roles that I undertake as part of my job. Most importantly I really enjoy the daily interaction with our customers and finding solutions to sometimes complex requests. If money was no object, list three things you would treat yourself too?